Hong Kong - Hiking and Horse Racing! We loved out first visit to Hong Kong and were excited to return for more hiking and to visit the two horse racing tracks – Sha Tin and Happy Valley. Immediately after clearing immigration in Hong Kong we each recharged our Octopus Cards, which we had kept from our first visit. We used our Octopus Cards to pay for transportation (Airport Express, buses, trams, and MTR), as well as to pay for entry to the race tracks and for small purchases at convenience stores. From the Airport – We took the Airport Express to Hong Kong Station (110 HKD / 14 USD each). At Hong Kong Station, we transferred and took the MTR to HKU Station. Passengers using an Octopus Card to pay for travel on the Airport Express enjoy free travel on the entire MTR network provided all connections are made within one hour of each other. Checked in Best Western Plus Hotel Hong Kong – There are two convenient MTR stations within 5 minutes walk of Best Western, making transportation very easy – HKU Station (Exit B1) and Sai Ying Pun Station (Exit B3). In addition to the MTR, the hundred year old “Ding-Dong” double-deck tram stops right in front of the hotel. At only 2.3 HKD / .30 USD per ride, this is a fun and inexpensive way to explore the area. You can pay the fare with an Octopus Card or in cash when disembarking from the front exit of the tram. If using cash, make sure that you have exact change. Sha Tin Racecourse (10 HKD / 1.3 USD per person – accepts Octopus Card) – We took the MTR to Fo Tan Station, Exit C. Since we arrived early to explore the area around the racetrack, Racecourse Station (service on race days only) was not yet operating. We simply walked 15 minutes to Entrance 1 of the track. Note: If the train you are on stops at Fo Tan Station, get off and walk! Fo Tan and Racecourse Stations are parallel stations and certain trains on race days are diverted to Racecourse Station – those diverted trains do not stop at Fo Tan. Located in the New Territories, Sha Tin Racecourse is mainly used for weekend and holiday day-time races. Standard opening time is 11 AM, with races starting at 1 PM. If there are more than 10 day races or 8 night races, the opening time will be adjusted. The racing schedule for both Sha Tin and Happy Valley is located here: Racing Calendar. Click the day to see at which track the race will be held (a general rule is that weekend races are at Sha Tin during the day, Wednesday races are at Happy Valley in the evening). Note: You must be 18 years of age to enter the racecourse – no children are permitted. We thoroughly enjoyed our day at Sha Tin. The betting crowd was very serious, the facilities excellent, and the races on time. Of the two tracks in Hong Kong, Sha Tin was our favorite. The atmosphere was more focused on horse racing, rather than entertainment, food, and drink. The only downside for us was that the races were in the middle of the day. If they were held in the evening, we could get in a full day of hiking before heading to the track. With capacity for 85,000 spectators and two grandstands, Sha Tin is a huge track – bring your binoculars! The track and facilities are so large that it is not until you are leaving that you realize how many people were actually attending the race! We retraced our steps to our hotel to eat and to explore the surrounding area by foot and “Ding-Dong” tram. Hike Dragon’s Back (free) – We loved our hike on Dragon’s Back during our first visit, so we returned to hike it exactly the same way again. 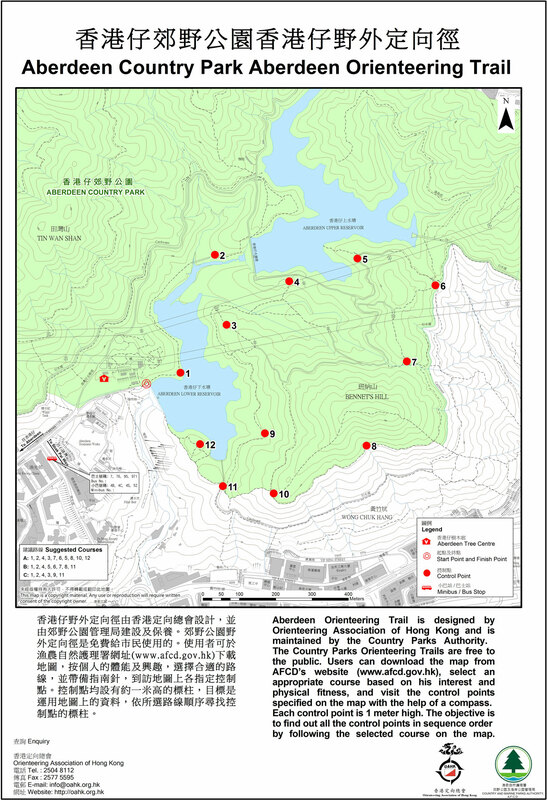 Here is the write up of our first hike: Dragon’s Back, Section 8 of the Hong Kong Trail. Just like on our first trip, we took the MTR to Shau Kei Wan Station, Exit A3 to the Bus Terminus. Click here for bus route info. From the terminal, we took bus 9 to To Tei Wan on Shek O Road. The bus ride takes around 20 minutes. Even with an overcast day, the views along the trail were beautiful! The hike ends at Big Wave Bay Beach. From Big Wave Bay Bus Stop, we took Minibus 18M back to Shau Kei Wan Bus Terminus. Before heading back into Shau Kei Wan Station, we decided to explore the area. Across the street and down a little from the A2 Exit (1 minute walk), we spotted Sun Kwong Roasted Goose Restaurant. If you are a roasted goose lover and in the area, Sun Kwong Roasted Goose Restaurant is a must try! The food is delicious and the prices are very reasonable – our entire meal cost 79 HKD / 10 USD. Hike Lion’s Rock (free) – We took the MTR to Wong Tai Sin, Exit B3. From the station you can either taxi or walk to the trail head on Shatin Pass Road. We were seeking exercise, so we walked. 1 hour from Wong Tai Sin MTR to the Shatin Pass Road trail head. 1 hour from the Shatin Pass Road trail head to the bottom of Lion’s Head stairs. 1 hour from Lion’s Head stairs to the Reunification Pavilion. 1 hour from Reunification Pavilion to Wong Tai Sin MTR. Either before or after the hike, the Wong Tai Sin Temple (free), located at the Wong Tai Sin MTR, is worth a visit. The temple is a famous Taoist temple that was established in 1921. The temple is open from 7 AM to 5:30 PM throughout the year. Shatin Pass Road can be deceptive, make sure that you stay on the correct road. The easiest way is to follow the GPS coordinates. Watch out for monkeys along the road, although the ones that we saw did not approach us and were not aggressive. The day we hiked was cloudy and the views were very limited. That was very unfortunate because standing at 495 meters above Kowloon, Lion Rock is supposed to have some of the best views of Hong Kong. The hike up Lion’s Rock was steep and fun! Even with the cloud coverage we were able to catch glimpses of the city views. When you reach Reunification Pavilion, turn left and follow the Wang Tau Hom sign. Stay on the paved trail until you reach Lion Rock Park Community Garden, the end of the trail. At Lion Rock Park Community Garden, turn left and walk down the road. Take the short-cut stairs on the left down to Chuk Yuen Road and turn left. At the light, turn right onto Ma Chai Hang Road. The road becomes Wong Tai Sin Road, keep going. Cross where see a small set of traffic lights and a pedestrian crosswalk leading to apartment buildings through a pink gate. Follow the MTR signs back to Wong Tai Sin Station. If you are hungry after your hike, the Temple Mall is located right at Wong Tai Sin Station and has tons of dining options. Before heading back to our hotel, we had delicious spicy noodles and dim sum at Shanghaiteng 1930 (Shanghai Popo Restaurant) (127 HKD / 16.3 USD). The walk from our hotel to the tram station was pleasant and we got to see new parts of the city! When we arrived at the Garden Road Peak Tram Lower Terminus, the wait time for the tram was over forty minutes, even though we had tried to time it for a less-crowded period! We decided to switch to plan B and to hike from the tram station to Peak Tower following the Central Green Trail. The closest MTR to the Lower Terminus is Admiralty, Exit C1 or Central, Exit J or K. The tram operating hours are 7 AM to 12 AM (Monday – Sunday). Trams depart every 10 to 15 minutes. Choose a seat on the right hand side of the tram for the best views of the city. The Central Green Trail is located opposite the tram ticket office, on left side of the World Wildlife Fund (WWF) building, under the overhead roadway, and on the left of the tram tracks. The 3 kilometer route is signposted with numbered points along the way. It takes about an hour to reach Peak Tower. When the tail crosses a road, look around and you should find another sign indicating the way. Some parts of the trail are very steep – it is a great workout! Parts of the trail follow the tram track, giving you an opportunity to watch the tram pass by on the steep tracks. The tram began operation on May of 1888! It gains just under 400 meters (1,312 ft) in elevation on its 1.4 kilometer (0.87 mile) journey. Higher up the trail, you pass through beautiful rain forests and have stunning views of the city. The Peak Tower, a shopping complex located at Victoria Gap, serves as the terminus of the Peak Tram. It is located at an elevation of 396 meters (1299 feet), 156 meters (512 feet) below the summit of Victoria Peak. It started to rain just as we reached Peak Tower. While everyday threatened rain on this overcast trip to Hong Kong, this was the only event that we were actually rained on and cut our plans short! We had a delicious dim sum meal at Lú Fēng, explored a little of the area, and then headed next door to the bus station under Peak Galleria. We took Bus 15 back to Central and headed back to our hotel to rest before the races. At just 9.8 HKD / 1.25 USD (one-way), Bus 15 is a great option for visiting Victoria Peak if you do not want to walk or take the tram. The bus ride takes about 40 minutes. The double-decker bus ride on the very narrow road is an adventure in itself! Happy Valley Racecourse (10 HKD / 1.3 USD per person – accepts Octopus Card) – We took the MTR to Causeway Bay Station, Exit A and followed the crowd to the public entrance on Wong Nai Chung Road. Standard opening time is 5:15 PM, with races starting at 7:15 PM. If there are more than 10 day races or 8 night races, the opening time will be adjusted. Happy Valley Racecourse was built to provide horse racing for the British in Hong Kong. The first race ran in December 1846. 1918 Derby Day Fire – The fire at Happy Valley on February 26, 1918 killed more than 600 people and ranks as the worst man-made disaster in Hong Kong history. 2002 De Integro Demonstration – A large demonstration broke out when De Integro was first across the line, but stewards granted the Kwai Chung Handicap to Exceptional on protest. I know how they feel – Sara lost a very nice tierce bet (1st, 2nd, and 3rd in correct order) to a long, drawn out protest at Sha Tin! 2007 Poison Darts – A race fixing caper was uncovered when ground staff discovered an elaborate poison dart system buried near starting point. 2016 Rakegate – A stray garden rake left sitting in the side of the starting barriers caused a malfunction. Some horses missed the start and stewards were left with no choice but to declare the race void. 126 million HKD / 16 million USD in pari-mutuel bets had to be refunded! In the general admission area, there is a very festive party atmosphere with many young expats socializing on the apron. There are beer tents, live music, and plenty of food. If you are attending the races for the betting, we found purchasing an additional ticket for the 2nd Floor Terrace reserved seating (20 HKD / 2.5 USD each) well worth the money. The comfortable seats have a panoramic view of the racetrack, great views of the finishing post, and easy access to the betting facilities. After an exciting and fun night at the races, we walked back to Causeway Bay Station and took the MTR back to our hotel. Hike The Twins (free) – MTR to Central Station, Exit A. You will see an escalator going to a pedestrian footbridge crossing Connaught Road. Cross and head to the first building on the left – Exchange Square. The bus terminus is located on the ground level underneath the Exchange Square building. Find the Bus 6 bay. Take Bus 6 to Stop 14 – Wong Nai Chung Reservoir Park stop on Wong Nai Chung Gap Road (about 30 minutes). From the bus stop, walk uphill following the signs to Parkview for about 10 minutes and the reservoir will be on your right. This is the starting point of the hike and there is a handy map to guide you on your way. We wanted to hike The Twins via Tai Tam Country Trail to Wilson Trail. The Twins are two mountains on Hong Kong Island, Twins North and Twins South. The trail is listed as one of the most strenuous on Hong Kong Island. To hike this approximately 5 kilometer route, take the trail along the right-hand side of the reservoir. In no time you are out of the city and in nature! When you come to Wilson Trail, turn right. The trail is well-marked and easy to follow. It gets very challenging when you reach The Twins. The trail includes over 1,000 steps – this is the section that makes this trail infamous! After the steep climb, the trail flattens and you are able to enjoy the views. As you come to the end of the trail you are rewarded with spectacular views of Stanley. Concrete steps lead down to Stanley Gap Road and the Wilson Trail, Stanley Gap Road bus stop. We wanted to visit Stanley and had initially planned on walking the short distance into town. After seeing how narrow the winding, shoulder-less roads were, we decided the safer option would be to catch a bus. Bus 6, 6A, 73, and 260 go to Stanley, so flag the first one that passes. If you wish to return to the city, cross the road and catch a bus going in the opposite direction. There are bus charts with routes listed. After exploring Stanley and having a nice dinner, we took Bus 6 back to the city. Aberdeen Country Park Orienteering (free) – We took Bus 4C from the Sogo Department Store Minibus Terminus at Causeway Bay. Exit the bus at the Aberdeen Reservoir Road bus stop. After exiting, walk uphill until you reach Aberdeen Country Park. We randomly chose Aberdeen Country Park and, before heading to Hong Kong, we printed out the Aberdeen Orienteering Trail Map. The objective is to find all of the 1 meter high posts in sequence by following the selected course on the map. It was a lot of fun! You have three suggested courses that you can choose from on the map. We enjoyed it so much that after we completed our course, we searched for the remaining posts. We saved this activity for the last day because we were not sure how much we would enjoy it and kept pushing it back. It was not really hiking, and we wanted cardio exercise on this trip. Rather than being disappointed, we loved it! If we get the opportunity to return to Hong Kong, we will certainly check out one (or more!) of the other orienteering trails. After we finished, we walked to Shek Pai Wan Bus Terminus and took Bus 76. To explore and find a new route, we exited the bus when we saw a sign for the new Wong Chuk Hang MTR Station. We took the MTR back into the city to walk around and randomly explore on our last night of the trip. After checking out of our hotel, we simply walked across the street to Water Street Bus Stop and caught Bus A12 (40 HKD / 5.15 USD) to the airport (A10 also goes to the airport, just hop on the first one that passes). We had a fantastic time on this trip to Hong Kong. We were very concerned about the weather leading up to the trip. Rain was forecasted for every single day – not what you want to see when planning an outdoor adventure trip! We started to contemplate a Macau visit if the hikes were rained out. Instead, we lucked out, and while we did not have beautiful, clear days for photo taking, we stayed dry and did not need sunscreen!